2019 MINI Countryman Trim Levels with Comparisons & Configurations. What 2019 MINI Countryman Trim Level Should you Buy? What is the Difference Between Trims? Small crossover vehicles are a dime a dozen these days. 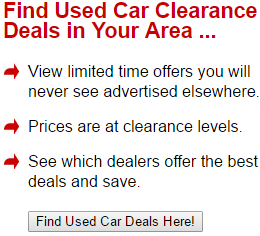 The market is saturated with them, and, for the most part, these vehicles satisfy some very practical needs. But is there a small crossover that exceeds these standards, that pushes the boundaries for what we should expect from this segment? The answer is yes, and that the MINI Countryman is the vehicle that achieves such a high standard. The 2019 MINI Countryman line-up is surprisingly diverse with its six different models, and, for each of them, your choice of three trim levels (the Classic, Signature, and Iconic). With this many configuation options, choosing the right one to fit your needs might be easier said than done. The first five models all have different features available, including three different engines. The line-topping Cooper S E All4 is the Countryman's hybrid option, so you can expect for there to be some differences in terms of power and fuel efficiency. Of course, the three trim levels add even more features to the already feature-dense Countryman models. 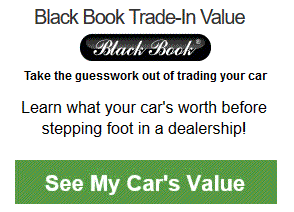 Since you will be dropping some serious cash on even the base Cooper model, you should know in advance what you will be getting and which model presents you with the best overall deal. Read on through to the end of this comparison review, and, by then, you should have a clearer idea of which 2019 MINI Countryman is the right vehicle for you. First, we will start off with the different models, then we will compare the three trim levels that can be equipped on them. Compare the 2019 MINI Countryman Cooper vs Cooper All4. What is the difference? The base Countryman Cooper is, aside from the Cooper S E All4 hybrid, the most fuel-efficient model in this year's line-up. That is due to the fact that it is powered by a 1.5-L twin-turbo 3-cylinder direct inject engine. Together with the standard 6-speed manual transmission, this model gets 28 combined miles per gallon. On the optional 6-speed automatic transmission, it gets 27 combined mpg. With 134 hp and 162 lb-ft of torque, the Cooper is able to make it from 0 to 60 mph in roughly 9.3 seconds - a bit sluggish, but understandably so with its powertrain. The Cooper All4 has the same engine, so its torque and horsepower are on par with the base Cooper. However, it gets slightly worse fuel economy (26 mpg combined on the manual transmission and 25 mpg combined on the 8-speed automatic that comes optional) and is .2 seconds slower to accelerate. It does have almost 200 pounds of added curb weight to lug around and has, as the name suggests, an all-wheel drive drivetrain. Both models are 4-door vehicles that can seat five adults. Each comes equipped with a 16.1 gallon fuel tank. The body is also built to the same dimension specifications. It is 169.8 inches in length, 71.7 inches wide, and has a wheelbase of 105.1 inches. The front row of seats has 40.4 inches of legroom while the rear has 37.6. Head room up front measures at 39.9 inches and 37.5 in the back. The trunk volume is 17.6 cubic feet, but the cargo space can be maximized to 47.6 cubic feet when you fold down the rear seats. 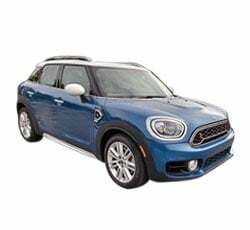 Compare the 2019 Countryman Cooper All4 vs Cooper S. What is the difference? As you might expect, the Cooper S has the same build as the Cooper and Cooper All4. However, the real difference here comes in the form of its powertrain. This model receives its power from a 2.0-L twin-turbo 4-cylinder direct inject engine. This boosts the horsepower to 189 and the torque to 207, which makes for a significant power difference over what you get on the 1.5-L engine. Unlike the lower trims, the S's 2.0-L is only matched up with an 8-speed automatic sport transmission. Since the engine is more powerful, the Cooper S is able to launch a bit more quickly. In fact, it can get from 0 to 60 mph in 7.2 seconds. This is certainly a far cry from the 9.3 on the Cooper and 9.5 on the Cooper All4. Compare the Countryman Cooper S vs Cooper S All4. What is the difference? Of course, the Cooper S has to have an all-wheel drive variant. It only costs about $1,000 more than the Cooper S. It equips a 2.0-L twin-turbo 4-cylinder Valvetronic engine. The 6-speed manual transmission comes standard, but you can select to equip the optional 8-speed automatic sport transmission if you'd like. While the Cooper S is able to get a combined 27 mpg, the Cooper S All4 gets 24 combined mpg from the manual transmission and 26 mpg combined on the automatic. It is also ever so slightly faster to accelerate than the Cooper S, clocking in at 7.1 seconds when going from 0 to 60 mph. Compare the Countryman Cooper S All4 vs John Cooper Works All4. What is the difference? If you are willing to spend the extra $6,000, the John Cooper Works All4 delivers more power than the S and S All4. It is powered by a tweaked version of the 2.0-L twin-turbo. On this model, the engine garners 228 hp and 258 lb-ft of torque. This improves the model's acceleration speed by about a full second over the S All4 while still keeping on par with fuel efficiency. The manual JCW All4 gets 24 mpg combined while the automatic variant gets 25 combined mpg. For the extra power, the trade-off really is not that bad. Additionally, the optional 8-speed sport automatic transmission gets upgraded with shift paddles. Compare the 2019 Countryman John Cooper Works All4 vs Cooper S E All4. What is the difference? At the top of the line, we have the Cooper S E All4. This is MINI's answer to the demand for a hybrid powertrain on the Countryman. It prices at about $1,000 less than the JCW All4, and it will certainly save you money on gas. The 1.5-L twin-turbo engine comes standard and has an eDrive electric motor tacked on. The Hybrid All4 system also is standard equipment, of course. The 6-speed automatic transmission comes standard as well. Altogether, the Cooper S E All4 gets 65 mpg, which is fairly good for a hybrid in this segment. The powertrain is able to muster up 221 hp (134 hp from the 1.5-L engine and 87 hp from the eDrive electric motor) and 284 lb-ft of torque. The amount of power that the powertrain delivers is able to get the vehicle to accelerate from 0 to 60 mph in 6.8 seconds. Compare the 2019 Countryman Classic vs Signature Trim Levels. What is the difference? Now, it is time to break down the three trim levels that can be added onto any 2019 MINI Countryman model. First up is the Classic trim, which comes in your choice from among four different body colors. The roof and mirrors are painted the same color as the body. You also get roof rails, privacy window glass, and your choice of either white or black bonnet stripes. On the inside, the Classic adds carbon black leatherette upholstery for a sense of luxury. Also, the multi-functional sport steering wheel is wrapped in leather. Both of the front seats are heated, and there is an anthracite headliner. The surfaces in the cabin are a lovely Hazy Gray tone, which matches nicely with the carbon black seats. Standard safety technology on the Classic trim includes an anti-theft alarm system, rear park distance control, and an on-board computer. As far as multimedia features go, all of the expected features come equipped. You also get a standard subscription to SiriusXM Satellite Radio. The Signature trim has a lot of what you will find on the Classic, but it makes several noticeable additions and alterations. First and foremost, you get three more body color options added to the list. While you do get the standard body-colored roof and mirror caps, you can opt for either a black or white roof and mirror cap set-up. 18-inch pair spoke wheels come equipped, but you can choose to get them in either silver or black if you feel like jazzing up your vehicle's outward appearance. The tires are all-seasons, and there is a spare available. On the inside, MINI steps it up a notch with the Signature Upholstery Package. The interior surface can be swapped from Hazy Grey to a gorgeous Piano Black, Chestnut Brown, or Stone Hill Grey Illuminated. Also, a picnic cushion gets added into the mix for that extra throw-back, nostalgic appeal. Technology also receives a major boost. The Technology Navigation Package and Driver Assistance Package both come on the Signature trim. You additionally get an active driving assistant, a power tailgate, and a 6.5-inch touchscreen display for the infotainment system. A universal garage door opener with a compass is also integrated into the cabin. Compare the 2019 Countryman Signature vs Iconic Trims. What is the difference? Finally, there is the high-class Iconic trim. This trim level adds the stunning Lapisluxury Blue body paint option, giving you a total of eight colors to choose from. Again, you can choose between the body-colored roof and mirror caps or opt for either the white or black designs. Also, there are options for 19-inch edged spoke wheels or 19-inch MINI Yours Masterpiece wheels. On the inside, sport seats get swapped in for the standard seats. MINI adds several upholstery trim color options: leather/cloth carbon black cord, leatherette/cloth black pearl, cross punch leather in carbon black, satellite grey lounge leather, British Oak Chesterfield Leather, and MINI Yours Lounge Leather in carbon black. You can opt for chrome line interior trim to boost the cabin's luxurious appearance. The 6.5-inch touchscreen display also gets upgraded to an 8.8-inch monitor, so the visuals are even easier to see. The Signature trim adds compatibility with Apple CarPlay. Android Auto does not come as an option at all. To top everything off, you get a nice Harman Kardon sound system instead of the standard one. There are a lot of configurations to select from on the 2019 MINI Countryman. And, quite honestly, all of these models and trim levels have some good aspects. Of course, each one has a few drawbacks, too. 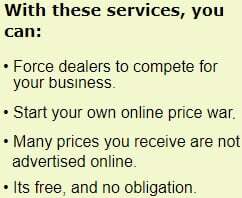 But which one is the best deal? The Cooper S provides an excellent middle ground with its reasonable price tag and upgraded engine over the base Cooper. If you equip it with the Signature trim, you will find yourself sitting behind the wheel of an overall well-equipped vehicle. Of course, if you are looking for more fuel efficiency, the hybrid variant is a good choice.